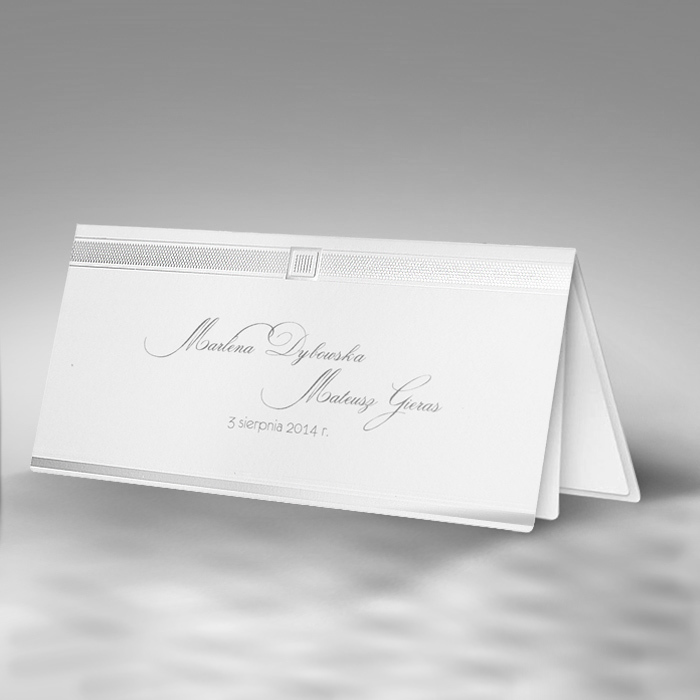 An elegant invitation The cover is made from white pearl paper. 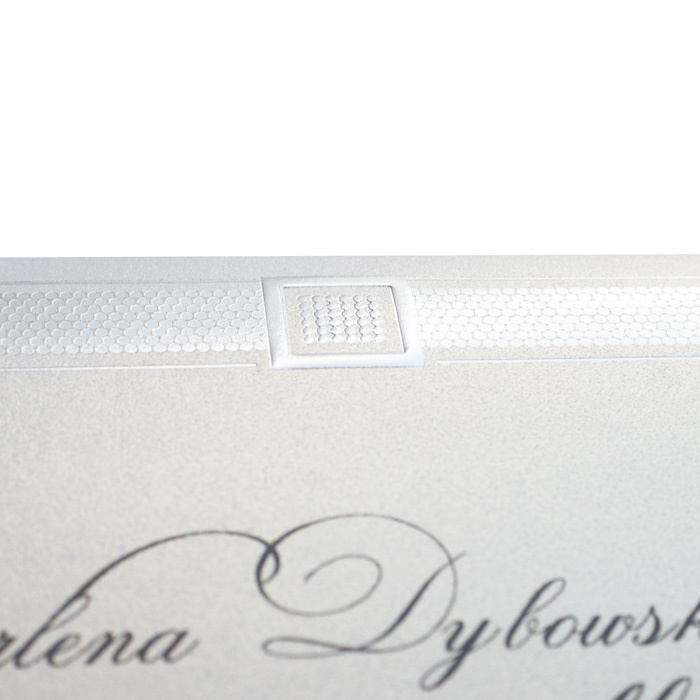 Silver and embossed elements form an additional decoration. 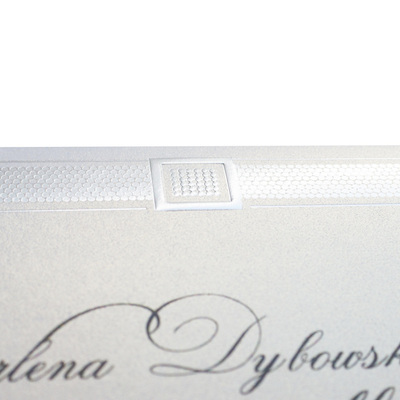 Names and the wedding date is printed on the cover. 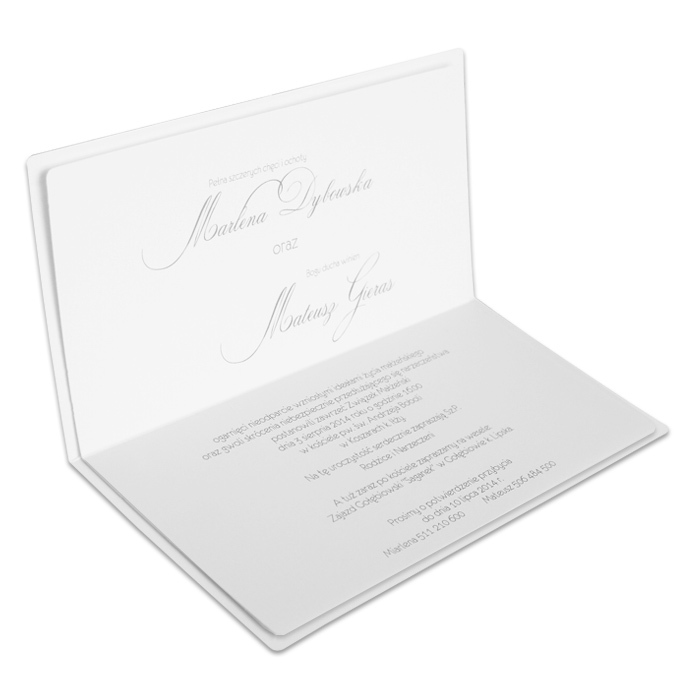 The insert is matte white.